fresno.py – Welcome to the Fresno Python User Group! Welcome to the Fresno Python User Group! Fresno.py's mission is to foster a welcoming and diverse community of Python developers and promote the use of the Python programming language in the Central Valley. 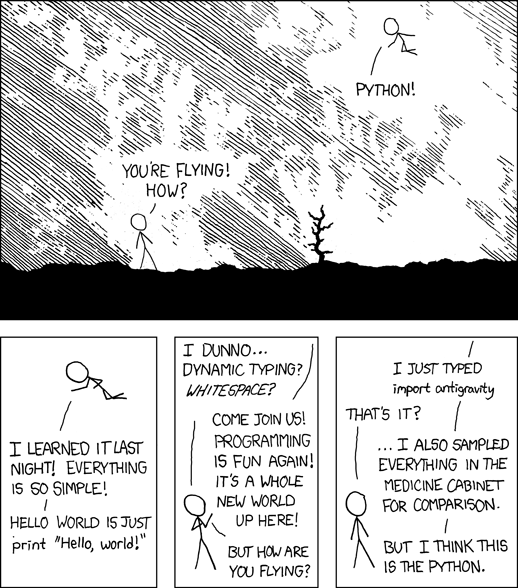 People of all skill levels are welcome; if you are interested in Python, we'd love to have you join us! Founded in 2015, Fresno.py is the core of the Python community in Fresno, and advocates for the use of the Python programming language locally. There are many ways to get involved, and meetings are open to folks of all skill levels. We generally meet on the 4th Tuesday of every month at Root Access Hackerspace, but you should check meetup to confirm. Join us on Slack! - We use the #python channel in Root Access Hackerspace's Slack.